Monitor and control your home from your smartphone. Includes a Hub and four easy-to-use sensors that allow you to receive notifications on your smartphone when events occur that are important to you. Create a Carephone Smart Home that automatically reacts to your unique preferences. 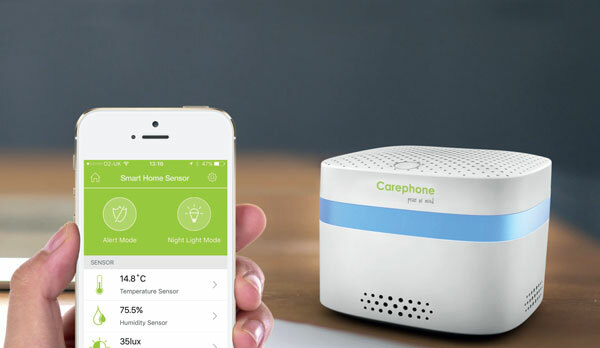 The Carephone Smart Home Sensor kit works by connecting the hub sensor to your WiFi and then adding the sensors, which is all done via the free app which has to be downloaded onto your smartphone or tablet. This starter sensor kit is compatible with Android and IOS. It is simple to set up and use and the data it gives off really gives you a good idea of the the users home habits. Look back to see if a room has been above a certain temperature over the last day, week or month. 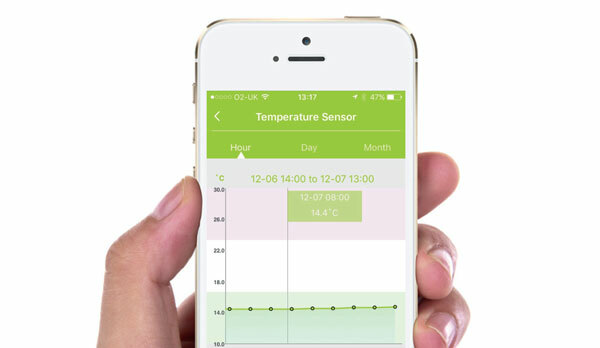 Set to get an alert message if the temperature falls or goes above a certain temperature. Put the door sensor on the front door to see how many visitors a person is having. 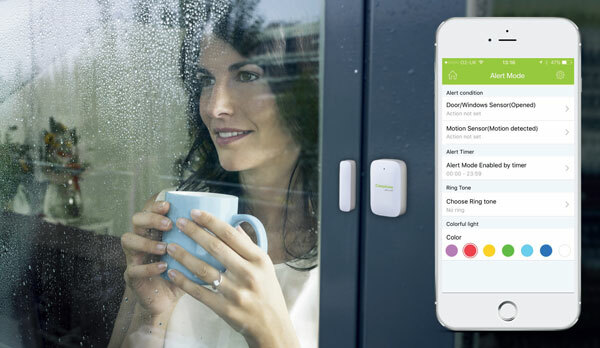 Set the smart button to send you a message if pressed so could act like an alarm or alert system. 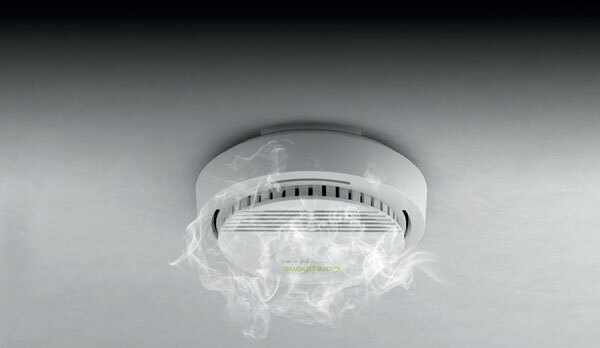 Set the smoke alarm to send you a message where ever you are as well as setting off the alarm. Set the movement alarm to send you a message if someone enters a room or look back to see how often someone has been in a room. Downloading our app is all it takes to control your device. Carephone Smart Home proprietary technology connects the dots in the background. 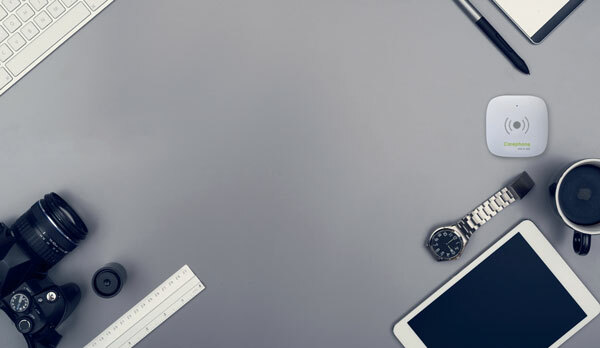 The Hub is not only the multiple sensor’s controlling center, it can also monitor the environmental temperature, humidity, air pressure, ambient light and noises. Get an alert if there is an unexpected intrusion in your home. Set connected devices to react automatically if a sensor is triggered. When you plan to leave the home, simply click the Hub icon to enter arming mode, any unexpected event (e.g. 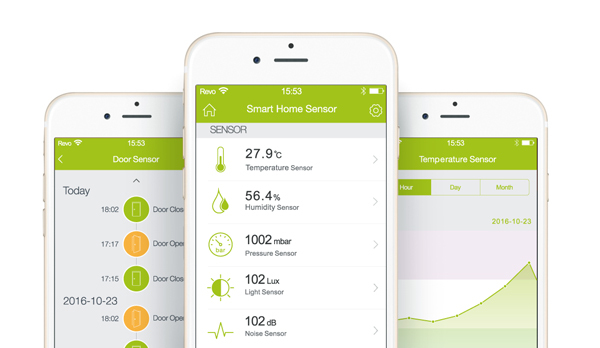 unexpected door opening, detected movement, or detected smoke) will notify the Carephone Smart Home Sensor App. Get notified whenever there is unexpected movement in your home. 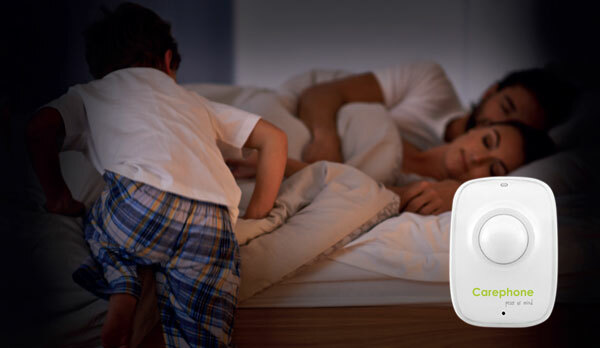 If no motion is detected the Hub will switch off any electric appliances plugged into the Carephone Smart Home Plug. When electric appliances are plugged into Carephone Smart Home Sensor Plug, the Smart Home Switch can turn these on or off.The Smart Home Switch can also work as a door bell to send a sound alert like the traditional door bell being rung. 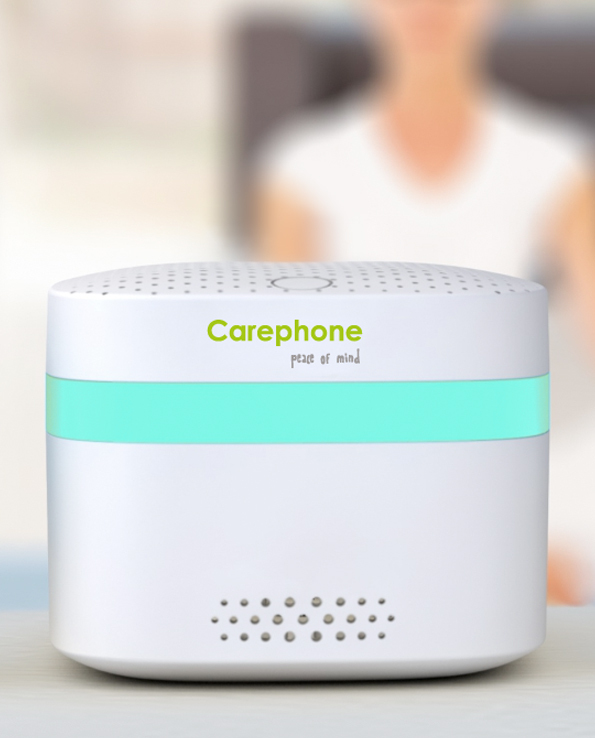 If an emergency is detected the Carephone Smart Home Smoke Sensor will send an alert to the app on your smart phone so you will be alerted wherever you are, and an alarm on the Hub will be heard. It can also cut off all connected appliances to eliminate re risks. 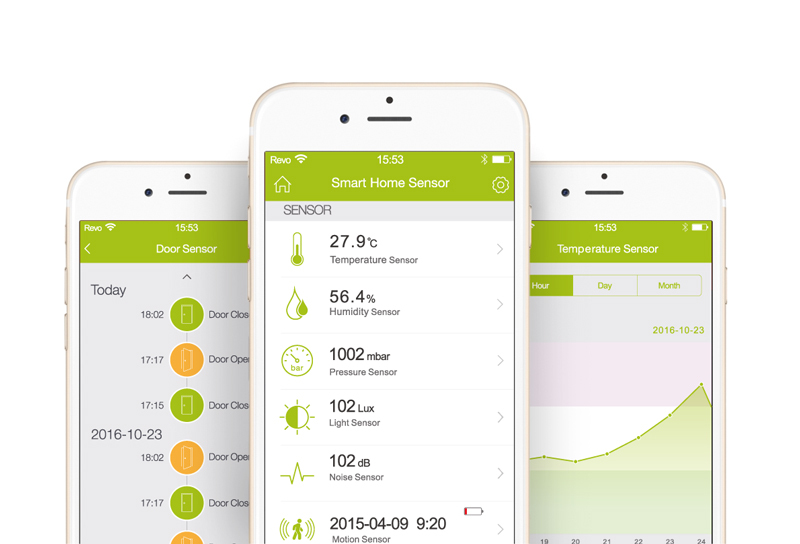 The accumulated data recorded by the Carephone Smart Home Sensor can help you visually understand your home and improve your family’s comfort and wellbeing!